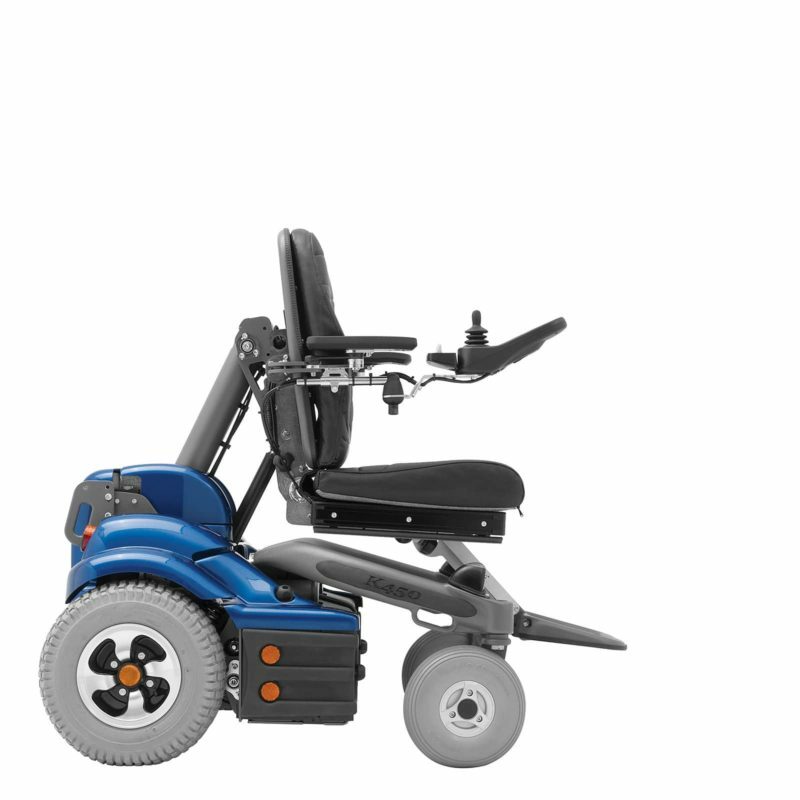 The all-wheel suspension system of the K450 MX provides a smooth ride, whether cruising the halls at school or heading out to the playground. 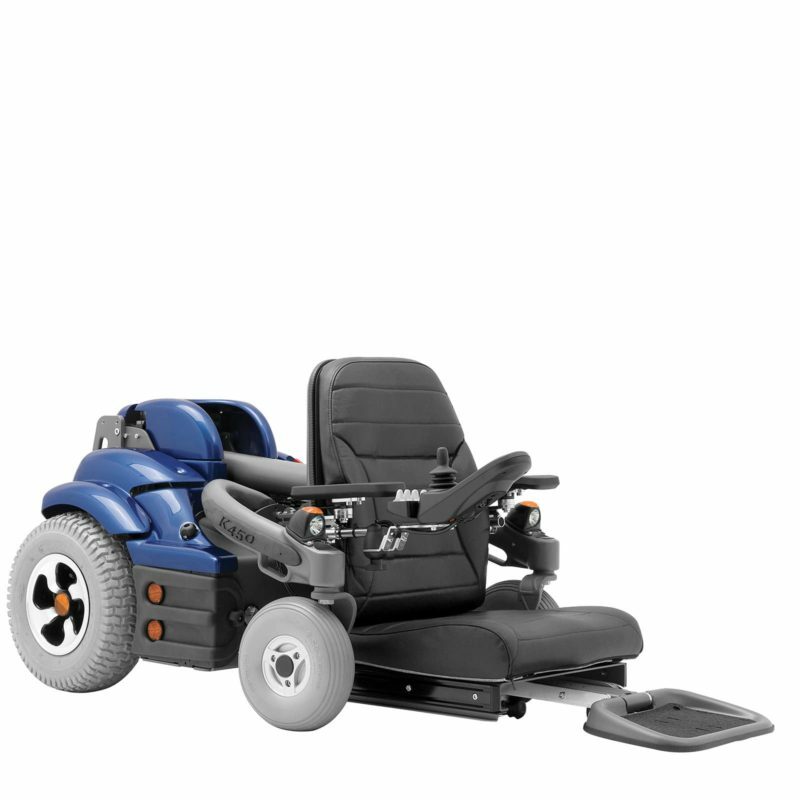 The power seat-to-floor function lets children get down on the ground, perfect for story time, transfers and playing with others. 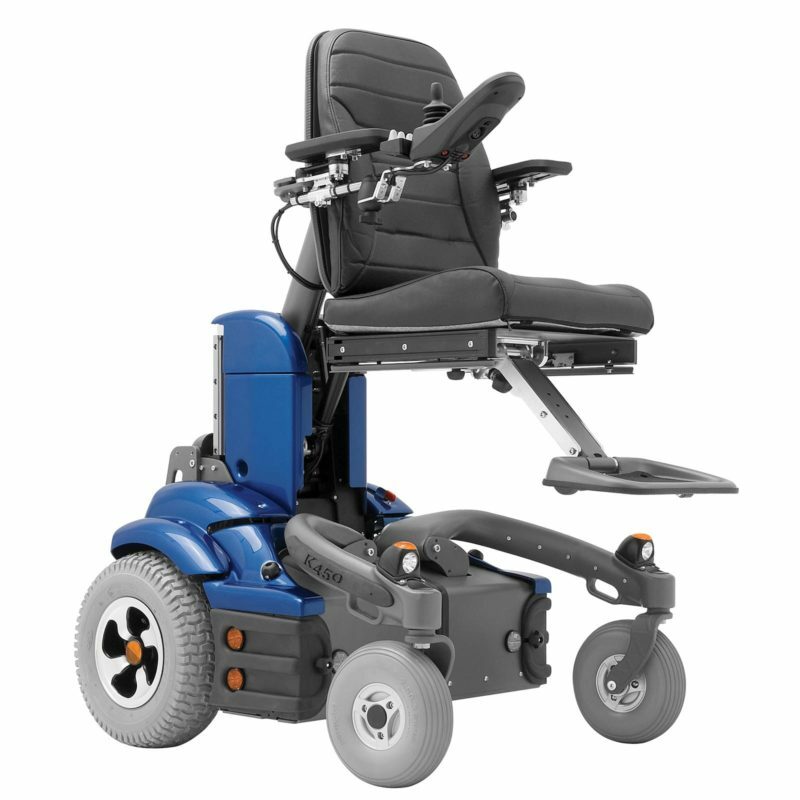 The seat-to-floor height ranges from 3″ to 26,” making it easy to sit at a table or counter and even to reach things down low. 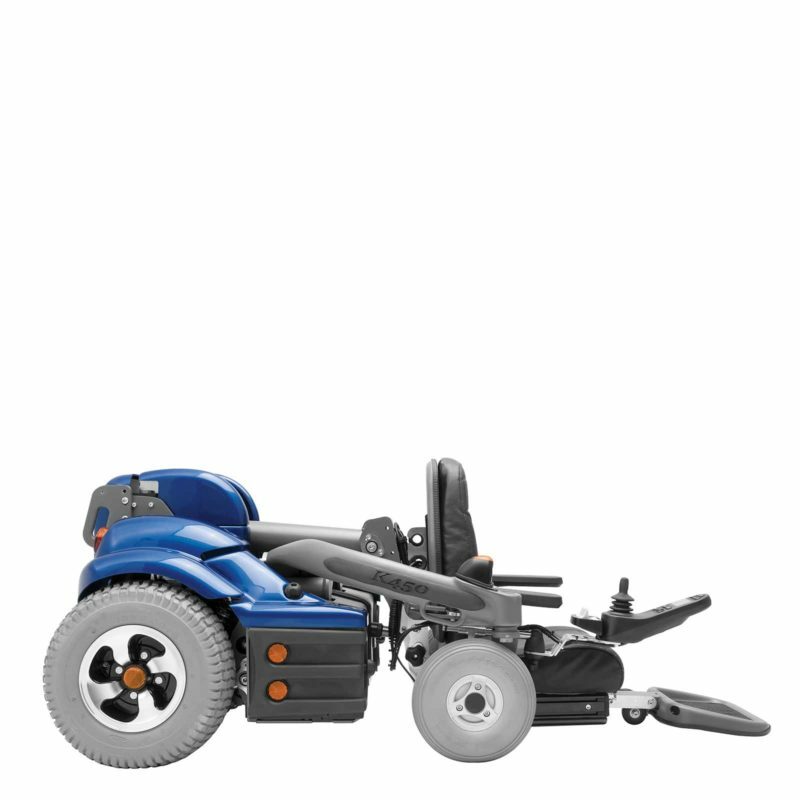 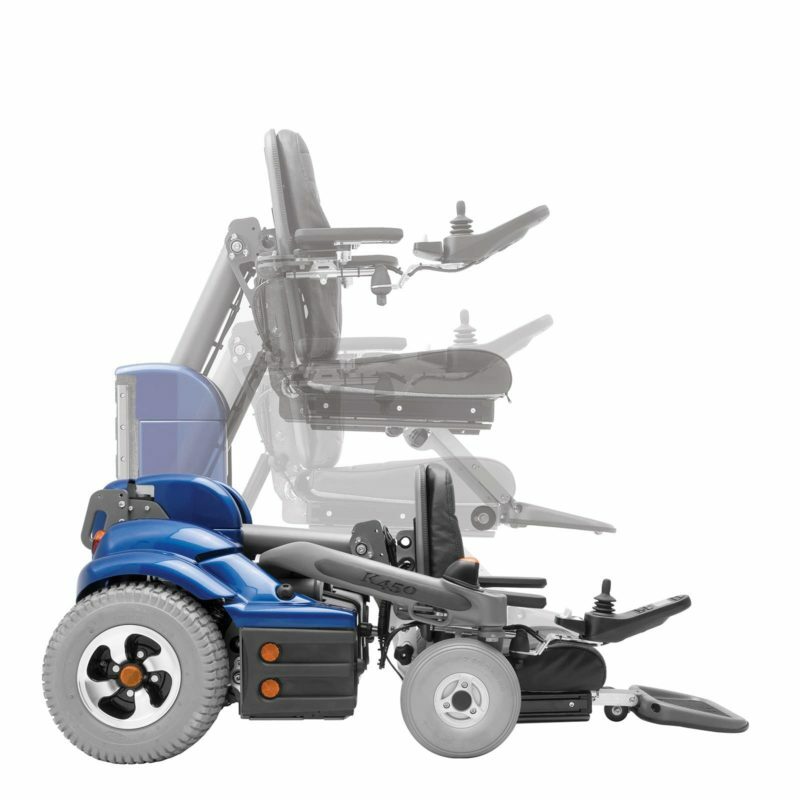 Plus, the K450 MX features R-Net electronics and has an array of power functions, including: seat elevator, seat-to-floor and optional power tilt. 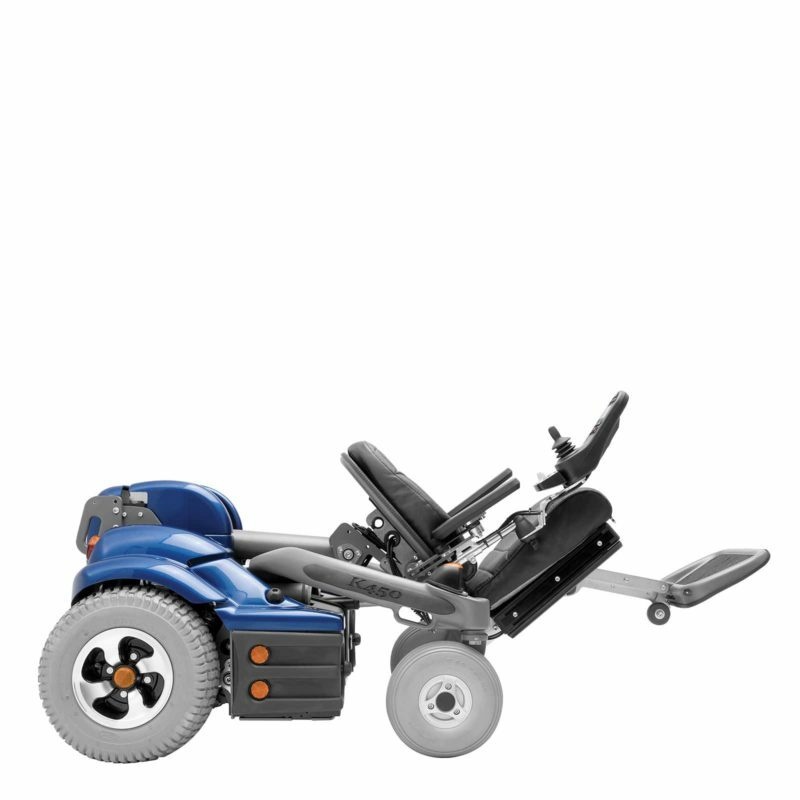 The modular seating system has center mount adjustable legrests and comes with a free growth kit – something every kid needs.